John: Everyone has a price to pay for being who they are. It’s just the way it is. Invariably, I’ve had one or two small issues come up as a result of my sexuality – little comments or issues in real life, but nothing major. My parental situation is less than ideal, but I’m lucky enough to have parents that at least tolerate it (though I dislike tolerance on the whole, as we should accept people – not just tolerate them). LGBTQ fiction is important to me because it’s a huge part of who I am, but also because it is just a small part of who I am. Readers like reading about people who are similar to them in big ways and small ways. Sometimes you like reading about a person who is going through the same situations as you are, and other times you find yourself wanting to read about someone who may simply share a few small characteristics with yourself. LGBTQ fiction is so vital to young adults because there are teens who are looking for both of these things to be fulfilled on the LGBTQ front. Some teens are LGBTQ and need to read about characters that struggle with that part of their lives – be it in regards to coming out, dating, or bullying – and others are LGBTQ and just want to read about characters that identify with the label, even if the plot of the novel does not focus on their sexuality. It’s just as important as writing about PoC characters or characters of different cultures and religions. Life is not just about what the majority of society is – it’s about how each individual is unique and identifies with a different status and perspective. Me: What about in real life? I know it must be harder to be openly gay in high school. At the same time, I watch you go through a lot of issues that would be the case with any teen. Tell us, please, a little bit about high school, interactions with others, where you draw support, and how you stay sane. John: Eh. It’s hard, yet it’s really not. I know that there are many teens that get bullied for their sexuality every day, but I’m lucky in the fact that I live in an environment (and, really, a generation) that is becoming more and more accepting of LGBTQ people. There will always be people in my area that make me struggle with my sexuality because of hurtful words – some born of simple hate, others of ignorance – but I have made it a point to surround myself with a support system. My friends are marvelous and accept me for who I am. Many of them are religious, yet they never pass judgment on my sexuality. Many of them agree that the prejudice in religion is ridiculous. I’m a social person and involve myself in activities that embrace people that are odd and out of the social norm. Theater and band have been such blessings for that alone. I do struggle with romance, friendships, and parental relationships. What teen doesn’t? My support system in real life and online has just allowed me to see that there are tons of amazing people in the world that are willing to talk to you and offer you support and advice when you need it. I have other coping mechanisms like reading, writing, and watching specific shows and movies to unwind, but the social parts of my life definitely rely on that carefully chosen (but still large) support system. Me: Have you made other friends and connections through Twitter chats? How do you see them fitting into the book world as a whole? Are there some you still join regularly? John: Oh, so many friends. I follow a lot of people on Twitter. I talk (too much!) on Twitter. I have joined a few chats on occasion. Sometimes #YALitChat or #askagent – and the #gayya chat as well. Usually, it’s just when the subject interests me and I have the time. It’s hard to join in when you have school or work going on. They often repeat a lot of the same information, but if you ever need to ask a large group of people about something related to writing, reading, or blogging, they are quite useful. I’ve made quite a few friends from those chats, too. They really help the book world by being a source of social connectivity for authors, readers, and bloggers alike. They also provide great advice that a lot of newer people need to hear. Hearing said advice from a communal source usually allows it to hit home – more so than just one specific person’s advice, which can be written off as simple opinion. Me: I know you’re involved in drama and the stage. Will you talk a little bit about the performing you’ve done, and what you get from it? Any other hobbies/interests to share? John: Performing is one of the best things in my life, though I only get to do it during the latter half of the school year. I’m not one that believes they could go professional with acting. I have too many limits as a stage presence. Yet, that doesn’t keep me from finding the magic in doing a play or a musical on my school’s stage. I often get smaller parts because of how much of a ‘type’ I am, but the sense of excitement that you get as you go on and become a character is marvelous. This past winter I was in my first ‘big’ role as Mr. Webb in Our Town. It really made me see just how transformative a play can be on its actors. The part showed me the depth of humanity and the complexity that parenthood brings into someone’s life. I cried backstage every show night – and during the last few rehearsals – because of the character Emily’s final speeches. My heart changed because of that play, and it’s made all of my theater experience worthwhile. I also play in the marching band and have been amazed at how letting music in my life has allowed me to become a more creative individual. I’ve also gained many amazing friends from theater and band. People that are beautiful, astounding souls. Me: You’re one of the bloggers I know who have gone through a disturbing—even scary—reaction from an author after a negative review. Without going into any more specifics than you choose, will you talk a little about how it made you feel? How would you weigh in on the topic of freedom to write negative reviews (which has been a controversy in the blogosphere)? Will you feel just as free to give your honest opinion in the future? Me: What about positive interactions with authors? I’m hoping there have been many. Any you care to share? How much are they a part of why you blog? John: Oh, there are so many! There have been a few over the years that have really resonated with me – authors that take the time to email me or Tweet me just to say that they liked the review. I don’t write reviews for authors, but I know that some authors take the time to learn from them, which I admire. Two stories that I want to share: one author, Jeannie Lin, writes Tang dynasty historical romances for Harlequin Historical. She’s a fabulous person. One day, I saw her simply thanking someone for a review on Twitter – complete sincerity, mind you – and tweeting it. Not so uncommon…until you consider that the review was negative. Not just a little negative, either. That kind of behavior is awesome and made me like Jeannie even more – and it makes a huge impression on readers who are unsure of whether or not they want to try her books, too. Another one involves the author Jennifer E. Smith, who took the time to email me recently about my review of her latest book, The Statistical Probability of Love at First Sight. She was gracious and said that my review impressed her. It was simple, kind, and really made my day. Me: You enjoy romance novels. And I know you’ve taken a lot of crap for that. Will you talk a little about what you get from the genre? Why do you think people are so quick to stereotype and judge? What effect does that have on you as a reader? John: Readers are quick to stereotype because it’s easier than accepting that genre fiction and literary fiction aren’t that different. I think people like the idea of some books being superior to others because it elevates their status as people. Some readers mainly read classic/literary fiction and sing its praises to the heavens, but they won’t do that for normal genre fiction. It’s poppycock to me. Romance has amazing writers that explore the depth of human relationships. Through romance novels, I’ve learned more about how to stay in a loving relationship and avoid a crappy one than I have with literary fiction. The stereotyping annoys me as a reader for so many reasons. The biggest is that the romance community is full of so many intelligent people that read into these books with scholarly precision, and the stereotyping degrades all of the literary work that they do – and it is literary work, no matter what anyone else says. I love romance novels and respect them and their authors. Me: The book blogging world is a community, in every sense of the word. This can be both the good news and the bad news, in my opinion. Every community has its infighting, snark, controversies and negativity. How do you weather the downside? What does the community do for you to make it all balance out? John: Everyone gets involved in community kerfuffles. After being in it for over two years, it’s gotten old. I often will voice a direct opinion on it, usually via Twitter, and love discussing it with other bloggers, but mostly because I like exploring human behavior. It can get personal, and I’m not always the best person in regards to reacting to those types of situations, but I’ve learned more and more that I have to be able to reign myself in and focus on the basics. Now, I just try and avoid it. I don’t post blog posts on the general topic unless I really, really need to explore it for myself. I often wait, too. Talking about it and seeing the various sides of it is much more important to me than getting into a singular frame of mind about the situation. The community – especially the romance community – is so supportive of many things that I do. The YA community is still growing and, I think, a little less focused on the things that I connect with or find important. The romance community has offered me invaluable support about bookish things and real-life scenarios. The support from that community outweighs the kerfuffles that I have come in contact with. Me: You are very honest about your life on Twitter. The trials and pressures, as well as more upbeat news. Which I admire. I value emotional honesty. What do you get from that kind of sharing, and how much does it help on a bad day? Is your sharing generally met with support? John: This has me laughing. I know very well that my over-sharing makes people less likely to follow me on Twitter, but I can’t help it. I consider Twitter a public forum where I can talk about anything that I need to say. It’s disconnected from my personal life enough that I feel comfortable doing it. I also have such a great network of friends there. The sharing allows me to go on a better path in my life. 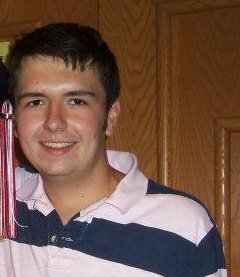 I’ve gotten advice on handling my parental situation, various romantic situations, friendship situations, blogging, and my current struggle with weight loss. I learn invaluable information from it all. I garner a lot of support, too, as I share my emotional honesty. So many authors and friends on Twitter are older and wiser than I. I take their advice and try to use it so that my life can improve. Me: What are your plans for the future, and how do books fit in? John: Well, college. Somewhere. Anywhere. Hopefully a place that I like. I hope to continue my blogging for as long as I can. It’s wonderful, if a creative struggle sometimes, and teaches me something every day. I would love to work in publishing someday as well. Editing is what attracts me. I’d love the idea to have a hand in the creative process and bring out the best in authors. It would also allow me to see the transformation of publishing and maybe have a hand in getting more LGBTQ books and PoC books out into the market. I’m also, like a lot of bloggers, someone who would love to write books someday. I don’t know if that will pan out for me or not, but I’m damn well going to try. Me: Will you recommend a few other book blogs you think are worth visiting? 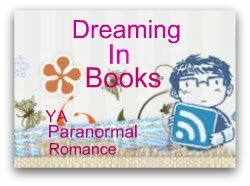 John: There aren’t many blogs that I visit frequently, but here are some of my favorites, divided into whether they review romance or YA. Some (like The Book Smugglers) are blogs that focus on other genres as well, but still feature a lot of one of the particular genres. These blogs all analyze books well and show off titles that you may miss in their respective genres – or they write about stuff that I find interesting, book-related, and unusual in today’s blogging community. Bonus Question: What are some LGBTQ books and authors that you would recommend to readers? Some authors that write fabulous stories that derive from the character’s s life issues that explore sexuality (basically, authors that write books focused on issues that don’t make me roll my eyes): Catherine Ryan Hyde (Jumpstart the World and Becoming Chloe – even if you do run this blog and your readers doubtlessly know about your books already), Alex Sanchez (Rainbow Boys and Bait), Madeleine George (The Difference Between You and Me), and Nick Burd (The Vast Fields of Ordinary – forgive the horrid paperback cover, by the way). Authors that write or have written genre fiction stories with LGBTQ characters, which I always want to see more of: Malinda Lo (Ash and Huntress), Hadyen Thorne (Renfred’s Masquerade and Masks: Rise of Heroes), and S.J. Adams/Adam Selzer (Sparks). Thank you so much for having me, Catherine. I know I’m extremely long-winded, but I hope the interview interests some readers – and that they leave with a few books and blogs to read in the process. Me: You really were not long-winded, John. Not for my blog. My record for an interview is about 9,000 words! (So far.) Thanks for being here. Next week on Blogger Wednesday I'll be hosting Maggie of Bibliophilia--Maggie's Bookshelf. So please do stop back.